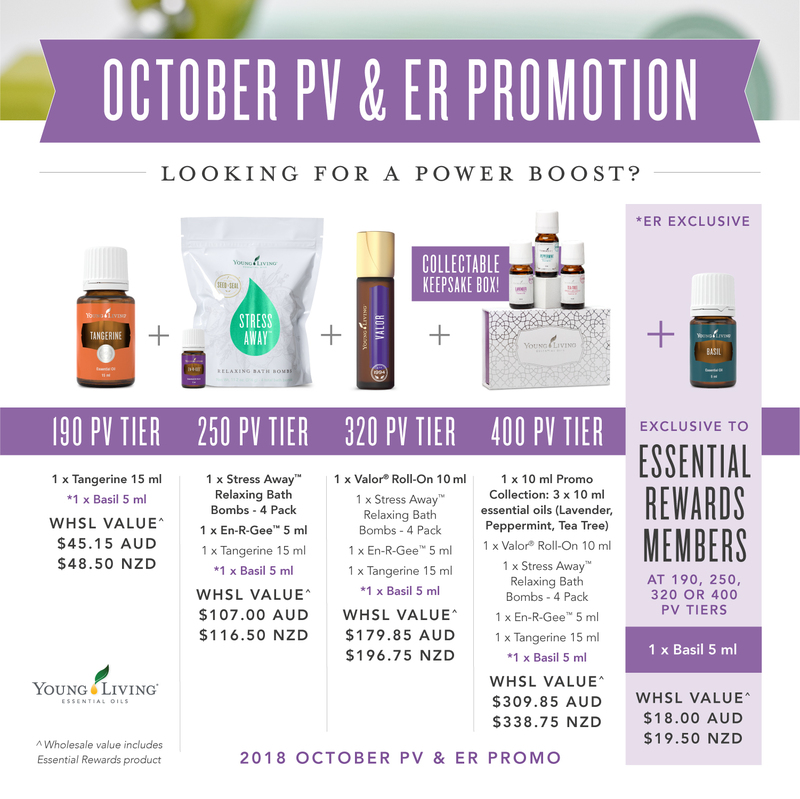 Offer is valid from 12 midnight, AEST, October 1, 2018, to 11:59 p.m., AEST, October 31, 2018. Limit of one free Tangerine 15ml, En-R-Gee 5ml, Stress Away Relaxing Bath Bombs 4pk, Valor Roll-On, and 10ml Promo Collection per qualifying Standard Order. Limit of one free Tangerine 15ml, Basil 5ml, En-R-Gee 5ml, Stress Away Relaxing Bath Bombs 4pk, Valor Roll-On, and 10ml Promo Collection per qualifying Essential Rewards Order. Single orders over 190 PV, 250 PV, 320 PV or 400 PV do not earn duplicate rewards.